Tours, being comprised of several moving pieces and intricate details, are often booked a year or more in advance. Therefore, things are bound to change after the initial planning stage, and this opens the door for many exciting and unexpected things to happen. Successful tours require attention to key details: travel, accommodations, transportation, stage plot, and backline, or sound equipment (not the worst place to be at Starbucks when you need a coffee). If one or more of these pieces is not in order, the tour quickly becomes interesting and “fun”. 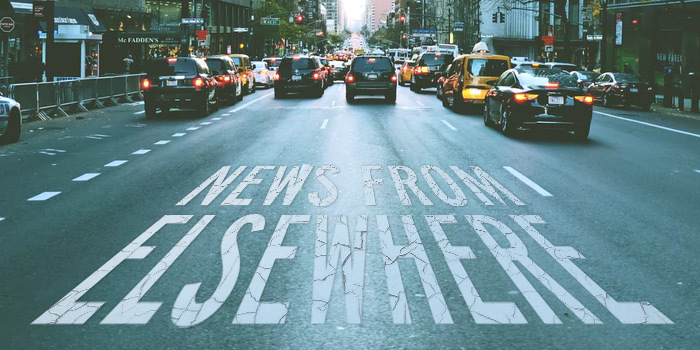 The “fun” begins when details begin to go wrong or disappear – and often times, regardless of careful planning, they do disappear, nowhere to be found except in old faithful email conversations. One such disappearance occurred on a tour with some very talented musicians, who were able to “improvise” and still perform an incredible show despite the unfortunate absence of a backline. A backline most often includes sound equipment for the rhythm section, the heartbeat of a jazz ensemble. This particular instance involved an acoustic bass and drum set. These instruments are not travel-friendly due to the fact that they are large, bulky, fragile, and simply too costly to transport due to the lack of support from airlines. Therefore, it was communicated to the venues many weeks ahead of time that a backline would need to be provided for the tour (though sometimes this means the drums are supplied by a reasonably elderly gentlemen who you find dragging pieces from the back of his car shortly before the gig. In that particular case, however, it ended up being one of the finest drum sets made thirty years prior, and the musician had such a wonderful performance that he offered to purchase the set. Sadly, the gentleman was not interested in giving up the drums, though he rarely used them). With the tour about to begin, the request list had been provided, all venues, accommodations, travel, and other necessities were booked, and no sign of trouble was yet on the horizon. Happily, things did go smoothly at first – but excitement was just around the corner. Silence filled the car. The reflection in the rearview mirror showed the musicians glancing at each other sidelong, their thoughts clear as spoken words: “Oh great, she forgot to tell them about the backline!” “She is new at this, no wonder something like this happened.” “How are we going to perform without instruments?” The silence was deafening. Pulling the car over to the side of the road at a stop sign, the conversation over Bluetooth continued. After frantic searching, one thing was made clear: the request never made it to the stage manager. When these unexpected disappearances occur, there are two options: give up and drive home, which, honestly, is never truly considered; or find a way to solve the problem and continue as planned. In the end, after many phone calls and frenzied searching, an acoustic bass and drum set were secured in time for the performance. Thinking we were nearly out of the woods, even more excitement ensued when traffic slowed to almost a standstill. Trapped in the sea of vehicles, we had to ask the venue to hold the audience in the lobby so the musicians could have a quick fifteen-minute sound check. Finally, upon arrival at the venue, we mounted the stage to inspect the backline instruments with the short time remaining before the downbeat. The drums were nothing surprising: a used set from a local area high school. But the drums were not what caught our eye. Instead, we all stared at the electric blue acoustic bass that sat perched on stage like a peacock spreading its bright feathers wide to the world. A truly outstanding group, the musicians performed that night as though no excitement had occurred, a testament to their extraordinary artistry and musical ability. The bright blue bass became a running joke, and we laughed about it during the days that followed. Though that part of the tour did not go exactly as planned, the “fun” we had sticks with us, and the blue bass will always be a memory that musician and myself share and can joke and laugh about every time we get together. In the end, the most important part of any tour are the musicians and the music that is performed, and we will handle any unexpected disappearances with those values at the center. After all, that is what makes this job truly fun. 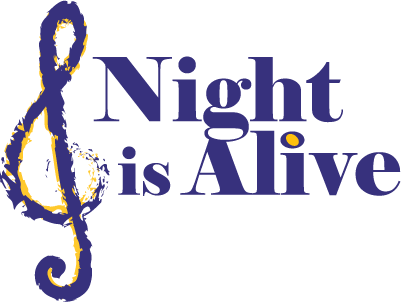 For more information about the musicians with Night is Alive, please visit our web page or contact directly via phone.